Reflecting a total lack of self-awareness, the trite headline to Michelle Alexander’s 2281-word op-ed, online yesterday and in print today, in The New York Times says it all: “Time to Break the Silence on Palestine.” The notion that the Palestinian issue is ignored, that a “silence” currently surrounds it, or has surrounded it in years past, and that pro-Israel advocates muzzle opposing views, is a common canard of anti-Israel activists. For example, veteran Haaretz columnist Gideon Levy, who regularly accuses Israel of war crimes and apartheid in the pages of his own newspaper and in international forums, recently charged that “it’s getting more and more difficult, more often than not, impossible” to publish articles critical of Israel in the mainstream press. But the facts say otherwise. At The New York Times for instance, in the six months prior to Levy’s column, the paper published 10 op-eds showing explicit support of Israel in general or for a specific Israeli policy, presenting Israel in a positive light, or defending Israel from criticism. In the same time period, the media outlet published 15 Times op-eds criticizing or condemning Israeli policies. The New York Times‘s disproportionate focus on criticism of Israel, including its very existence, is hardly a new phenomenon, despite Alexander’s assertion to the contrary. 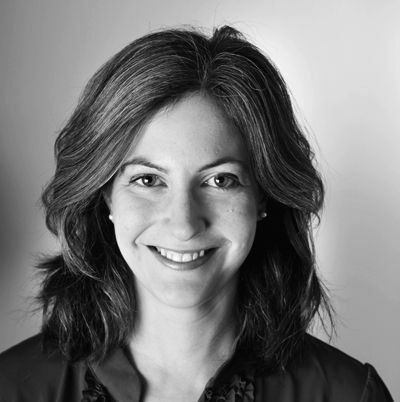 In her op-ed, she argues: “Not so long ago, it was fairly rare to hear this perspective,” i.e., that Israel is committing “horrific human rights abuses” and “legalized discrimination.” (Her position seems to contradict Levy’s, who argued that “it’s getting more difficult” to publish such views.) In fact, CAMERA’s comprehensive study (“Indicting Israel: New York Times Coverage of the Palestinian-Israeli Conflict“) found that in the period from July 2011 through March 2012, six of seven editorials, five of six columns ,and four of seven op-eds about the Palestinian-Israeli conflict predominantly criticized Israel. None predominantly criticized the Palestinians. Years before Alexander, Yousef Mannayer “courageously” alleged in May 2012 that Israel has “over 35 laws” that “discriminate against Palestinians who are Israeli citizens.” The falsehood appeared again in a New York Times October 2014 op-ed by Rula Jebreal, who alleged with “conviction” that “the more than 50 discriminatory Israeli laws documented by Adalah” are an indication of the country’s “ethno-religious purity and exclusion.” But even a quick examination reveals that Adalah’s list includes, along with other completely innocuous statutes, Israel’s law that denies certain benefits from families (regardless of their ethnicity or religion) which don’t vaccinate their children. The Institute for Zionist Strategies provides a comprehensive analysis of Adalah’s claims about all of the supposedly discriminatory laws. 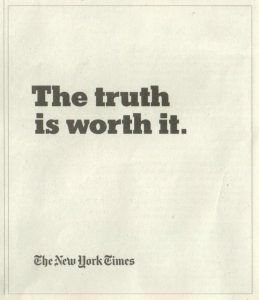 “The truth is worth it,” a self-promoting ad on today’s cover of The International New York Times proclaims. But perhaps just like Palestinian racism and other bad habits received an official Times exemption in 2014, so too is truth suspended when it comes to Palestinians and their supporters today. For example, Alexander falsifies in claiming that there is “legalized discrimination against Palestinians,” including “streets for Jews only.” It is a tired canard that numerous media outlets have corrected, including The Washington Post (op-ed, “Is Israel Losing Its Soul,” April 2017), The Financial Times, and the Associated Press, among others. There are very limited stretches of West Bank roads closed to Palestinian traffic, but open to all Israeli citizens – Jews and non-Jews alike. On the other hand, Alexander overlooks the fact that all Israelis are officially barred from entering Area A of the West Bank, under Palestinian security control, but in practice Israeli Arabs do enter those areas – meaning that the ban applies to Jews only. Likewise, where is the truth in Alexander’s reference to the “continued occupation” of Gaza? Of course, Israel has withdrawn every last soldier and civilian from the territory, a point previously clarified by The Washington Post, The Los Angeles Times, and NBC. Because this only recommends that refugees be permitted to return, it can hardly be characterized as creating a “right.” Moreover, the requirement that returnees first accept living “at peace with their neighbors” meant that Palestinian returnees would have to accept Israel’s right to exist, something that very few of them, even today, seem truly willing to do. Further, it did not even hint at any return rights for descendants of refugees. But Lamont Hill was fired not for his support of “Palestinian rights,” but for calling for “resistance,” which in the parlance of Hamas and other Palestinian terror groups is a clear call for violence, including for terrorism. He also called for “a free Palestine from the river to the sea,” which is tantamount to the elimination of the Jewish state. Alexander’s depiction of Angela Davis’s anti-Israel activism is likewise a whitewash. Davis has called for the release of all Palestinian prisoners, including terrorists convicted of multiple murders, such as the aforementioned Marwan Barghouti. Davis also came out to support Rasmea Odeh, convicted for her role in a 1969 terror bombing which killed two Hebrew University students, and deported from the United States for having lied about her conviction. it seems the days when critiques of Zionism and the actions of the State of Israel can be written off as anti-Semitism are coming to an end. There seems to be an increased understanding that criticism of the policies and practices of the Israeli government is not, in itself, anti-Semitic. With smoke and mirrors, Alexander aims to confound, falsely claiming that defenders of Israel are claiming that criticism of Israeli practices is antisemitic. The International Holocaust Remembrance Alliance definition of antisemitism, adopted by multiple countries, does not define criticism of Israeli policies as antisemitic, but it does include the type of speech expressed by Lamont Hill and Davis but which Alexander concealed. The widely-accepted definition includes “Calling for, aiding, or justifying the killing or harming of Jews in the name of a radical ideology or an extremist view of religion.” Lamont Hill clearly did just that, and Davis, with her embrace of murdering terrorists and calls for their release, is also likely guilty on this count. Our elected representatives, who operate in a political environment where Israel’s political lobby holds well-documented power, have consistently minimized and deflected criticism of the State of Israel . . .
Of course, “Israel” does not run a political lobby in the United States. Rather, pro-Israel Americans, Jewish and non-Jewish alike, assert their democratic right to lobby to maintain and strengthen an alliance that they see as beneficial to the well-being of the United States. “Applying double standards by requiring of it a behavior not expected or demanded of any other democratic nation” is another tenet of the IHRA definition under which BDS activists’ and others’ selective denunciation of Israel under the false flag of human rights frequently fall. Diversify. Strengthen the coverage of Palestinians. They are more than just victims, and their beliefs and governance deserve coverage and scrutiny. Realistic examinations of what’s being taught in schools, and the way Hamas operates should be a part of this. What is the ideology of Hamas; what are its core beliefs and its operating principles? What is Palestinian daily life like? I haven’t seen much of this in The Times. Thus, in one respect, Alexander is right. There has been a “Silence on Palestine.” But far from being silent on Israel’s bad behavior, real or imagined, The New York Times has obsessively focused on it. Michelle Alexander’s 2,000-word plus op-ed is a continuation of the paper’s compulsive placement of Israel under a microscope. Sullivan’s spot-on advice is just as much, if not more, relevant today: It’s time to break the silence on Palestinian bad behavior.